Why Family business have a competitive advantage Doing business with family can be difficult, but family businesses have unique opportunities compared to other companies – once they have proper structures in place. It isn’t a secret that some of the most successful businesses in the world were started by families. BMW, Cargill and Johnson & Johnson are just some of the bigger names that are either owned in part or have a family presence to this day. In Australia, family businesses range from local shops to large operations such as Linfox and Visy. In fact, family businesses represent about two thirds of the overall Australian business community. KPMG Enterprise Partner Dominic Pelligana, who is actively involved with Family Business Australia, says running a family business is complex – but it has strong competitive advantages. 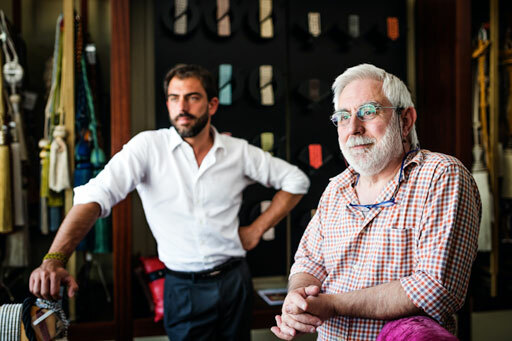 “I always say the family business system is the optimal model for running a business – but it comes with an asterisk,” he says. “That asterisk is making sure you have a strategic plan for the business – and the family." KPMG is a global network of professional services firms providing Audit, Tax and Advisory services. We have 137,000 outstanding professionals working together to deliver value in 144 countries worldwide. KPMG operates as an international network of member firms offering audit, tax and advisory services. We work closely with our clients, helping them to mitigate risks and grasp opportunities. KPMG provides audit, tax and advisory services and industry insight to help organizations negotiate risks and perform in the dynamic and challenging environments in which they do business. KPMG is here to work with you as british business enters a new era. 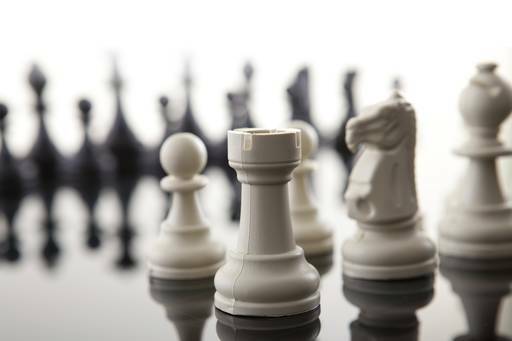 STRATEGIC ALLIANCES: a real alternative tp M&A? As Critical drivers of growth, strategic alliances should be up there with M&A as top priority for CEOs. But success is dependent upon rigorous planning, execution and nurturing. A lack of agreement over what constitutes a ‘strategic alliance’, meaning that some alliances are considered as minor partnerships or, worse still, buyer-supplier relationships. An underestimation of how the hidden agendas of different partners can significantly block collaboration and joint value creation, if they are not uncovered. A widespread belief that, once you have found the appropriate partner fit, strategic alliances are easy to implement and will largely take care of themselves – when in fact they are extremely difficult to get right. A lack of appreciation by CEOs of the huge significance of strategic alliances; these are major, once-in-a-lifetime transformations that can impact the entire company’s future, but they are rarely treated with the same importance as large M&As. 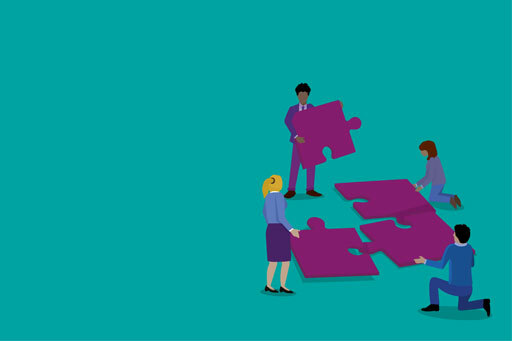 In this article we look at the evolving strategic alliance landscape, consider why some strategic alliances succeed and some fail, and highlight the key steps to an effective partnership that meets both parties’ interests. What should your executive team be asking themselves in a geopolitically Volatile, Uncertain, Complex and Ambiguous (VUCA) world? Companies have long operated under a relatively predictable set of assumptions made possible by established global rules of order. But over the past few years, we have seen a rise of ‘isms’ causing these rules to break or shift: populism; nationalism; authoritarianism; extremism; and even neologisms (with the advent of ‘fake news’ and ‘post-truths’). It might be easy to have a relatively informed view on this new geopolitical landscape, but it’s hard to be a specialist – particularly when economic logic is seemingly no longer a constraint on politics and companies can take nothing for granted. ‘Wait and see’ might be the easiest route, but the signals can be predicted if you look in the right places, risks managed if you know how, and opportunities exploited if you can turn foresight into action. Take a look at the Geopolitics Boardroom Questions to help frame the exposure of your business to geopolitical events, and identify what actions you can be taking to anticipate and respond across all layers of your business. CIOs play a critical role in positioning traditional banks to compete with fintechs and tech giants, and respond to increasing external pressures. The banking industry is going through one of the largest transformations in its history. Traditional banks are not only dealing with increasing competition from fintechs and technology giants trying to take market share away from banks, but also the rising pressures from new and increasingly complex regulations worldwide. Bank Chief Information Officers (CIOs), with their oversight of core banking and back-office systems, find themselves at the epicenter of this digital revolution. They face a twosided challenge: they must keep the legacy technology operational to maintain current revenue streams, while simultaneously pushing the organization to innovate to remain relevant in the years to come. These internal and external pressures result in a driving need for innovation. According to the 2017 Harvey Nash/KPMG CIO Survey, 63 percent of banking respondents indicated that “developing innovative new products and services” was among the top five key business issues their management board are looking for IT to address -- noticeably above the average of 51 percent across all industries. 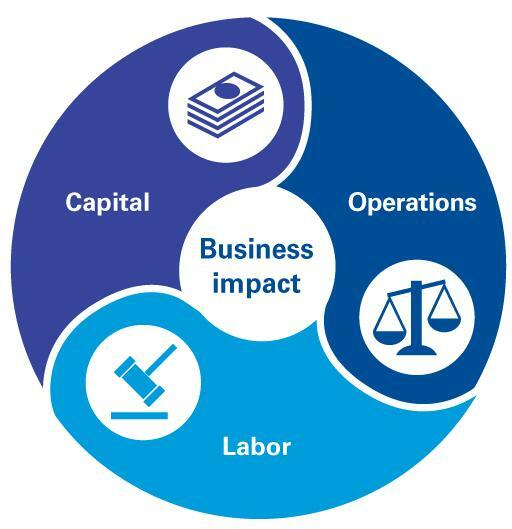 Despite the clamor within the banking organization for innovation, additional factors work to monopolize the CIO's time, attention and budget. According to the 2017 Harvey Nash/KPMG CIO Survey, banks and other financial services organizations looking to implement digital capabilities face greater challenges from compliance and related legal issues than do corporations in other industries. Forty-five percent of respondents indicated that “dealing with legal and regulatory compliance issues” was among the top five greatest challenges their organization faced in successful implementation of digital capabilities. Key regulatory issues around risk and control loom large in many CIOs' windshields, diverting attention and budget away from the drive to innovate. The resilience of technology has become a significant issue for many CIOs, with concerns increasing around the risk of systemic failure, security breaches, and customer impacts from major tech outages. These factors push many banks into a mindset of safety and protection, which is essential but can also have the effect of stifling the agility needed to spur innovation. Despite current challenges, banks remain well positioned to compete with fintech startups and large technology players -- if they act quickly. Many of the fintech innovations in the market today focus on front-end innovation, providing a digital interface between a customer and existing core banking systems. Yet as technological change pushes towards mid and back-office functions, CIOs must make significant moves to innovate while banks still hold customer trust and market share. Keep innovation separate for traditional, large-scale delivery. Given the current pace of technological change, CIOs need to be in an 'act fast mode' and create an environment to test new services and digital technology outside of the core banking system. This provides the freedom to iterate quickly and prove the effectiveness of a new service or system, before bringing that service into the main business. Minimize integration between legacy systems and new technology. Look to develop agile platforms as core strategic assets to enable digital delivery, with minimal legacy integration for the sharing of data, through cloud and middleware technologies. Understand, too, that the future of banking will see the mid- to backoffice functions becoming completely digital and automated, powered by technologies such as AI, big data and blockchain. This prospect presents a significant opportunity for banks to rethink their business with a digital focus and use technological change as a catalyst for innovation throughout the organization. Create greater flexibility through business collaboration. A new business model is required to support innovation, with closer alignment between business, operations, marketing and IT. As innovation becomes increasingly critical to banks' strategic direction and profitability, CIOs and other business leaders must collaborate earlier versus downstream when critical business decisions have already been made. Traditional financial institutions are now in the position where they can form a relationship with startups and technology companies to develop innovation that not only improves back-end efficiencies and reduce costs, but also provides customers with the experience they have come to expect. A step-by-step approach that includes the three stages cited above requires having a clear understanding of the specific needs or problem to solve in order to design a solution that addresses the business need. Once the appropriate solution is developed, instead of widely deploying and trying to integrate it into existing systems, banks need to take a page from how startups introduce new products. New technology should be treated as a proof of concept, to be tested in an environment that's separate from the main legacy system and main IT and operations systems. Once solutions show promising signs of market scalability, they can then be brought into the firm to integrate with legacy systems, if possible to do so. If not, the CIO needs to devise a new approach to host and maintain the solution and underlying technology. Despite the excitement around innovation within the banking industry, internal stumbling blocks nonetheless bar the way forward. The traditional culture fostered within banks is often at odds with what is needed to drive and deliver agile innovation consistently and at scale. Thus, the digital evolution is as much about pushing for a change in banking culture as it is about technological innovation. Banks should seize this opportunity to rethink their culture and governance model to become more like a startup -- nimble, constantly experimenting and iterating, and launching products quickly -- while delivering production services in a resilient environment. However, innovation cannot be driven by the CIO alone. 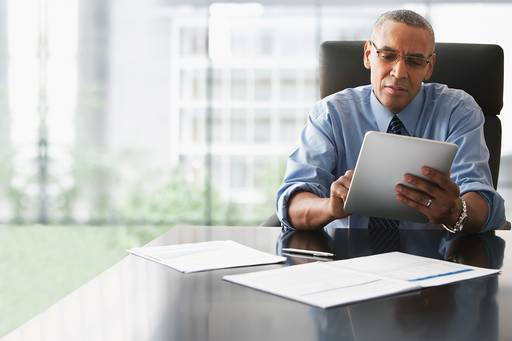 Though the CIO has a role of significant influence, innovation must also be within the CEO's purview. As banks look to remain relevant in an increasingly competitive digital environment, every department needs to look for opportunities to innovate and drive digital transformation or be left behind. In the new world we are all technologists. As technology pushes the industry forward, banks must evolve their digital capabilities to meet changing customer needs and expectations. By using a three-stage approach that embraces agile innovation and pushes for change throughout the banking organization, the CIO can help drive the bank to new heights of success. Our global survey and report explores how global financial institutions are designing strategies and adopting fintech innovation, as well as best practices for forging the path ahead. Quarterly analysis of global investment trends on the fintech sector. What senior leaders are doing to deal with disruption and where they are in their transformational journey. The Global Banking and Capital Markets practice combines industry knowledges, tax regulation experience skill to help our clients.